Tea is one of the most popular beverages in the world and ranks second in the list of the most consumed beverage in the world, after water. Tea also happens to be one of the ancient beverages on earth. 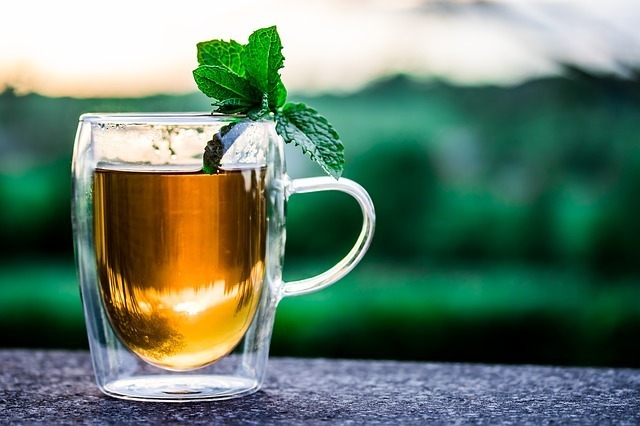 Considering certain blends of tea are quite energizing with a little or no amounts of caffeine in it, it is the favorite drink of a large number of people. There are hundreds of different varieties of teas with a unique taste, aroma and even appearance and all these tea, except a few herbal ones, come from the same plant called Camellia Sinensis. The final taste of the tea depends on the weather condition and the nature of the soil where the tea plant is grown. The difference in climate, seasonal changes, and rainfall create a difference in the tea harvested. The processing of tea leaves determines the characteristics of each tea produced. The process of oxidation determines whether your tea is black, white or green, to mention a few. Different varieties of green tea, herbal tea, and white tea are used to detoxify one’s body. You need to read this blog all about detox teas. What are some of the different varieties of tea available? The most popular tea around the globe, the green tea is unoxidized. Oxidation is prevented by picking, drying and heat treating the leaves of Camellia Sinensis and this tea has a much less caffeine than the black tea. The flavor is mild and depending on its individual characteristics the flavor could be smoky, sweet or citrusy. The fully oxidized black tea is the most common of all the different types of tea. A strong aroma is created for these teas by withering, rolling, fermenting, and drying the leaves of the Camellia Sinensis plant. Depending on its variety the flavor could be bold, strong, fruity, bitter or spicy. The flavor also depends on the area where the tea is produced like, Nilgiris, Darjeeling or Assam. Unlike the other types of tea, the herbal tea is made from dried herbs, flowers, roots and fruits. Most of these teas do not contain the leaves of the Camellia Sinensis plant and they are free of caffeine. Herbal tea is ideal for people following a diet and includes different kinds of herbs like peppermint, lemongrass, hibiscus, and ginger. Depending on the blend and difference in ingredients the flavor can be citrusy, minty, spicy, floral or vegetal. The leaves from the South African Red Bush are ground, fermented and dried to prepare the Rooibos or the African red tea. It comes in vanilla, sweet or nutty flavor. The oxidation process is not done in the green rooibos tea and it has a much delicate flavor. The leaves of the South American Yerba plant are used to make the Mate tea and it has a flavor that is strong and vegetal. After picking the leaves it goes through a process of blanching, drying, and aging before the loose leaves are cut to be used as a tea. Compared to the other teas, the White tea is the least processed and it’s made from the Camellia Sinensis plant found in the province of Fujian in China. The amount of caffeine present in this tea is extremely low. This tea has a delicate and sweet flavor. Spices like ginger, cardamom and cinnamon and ingredients like chocolate and vanilla are mixed with the black tea to prepare the chai tea. Sugar and milk are used to flavor such tea and is quite popular among the tea lovers all over the world and mainly in the Indian culture. This tea is also made from the leaves of the Camellia Sinensis plant and the leaves undergo a semi oxidation process. The Oolong tea generally has a fruity, smoky or flowery flavor. The most popular tea in the Japanese ceremonies, the Matcha tea is prepared by grinding leaves of green tea and mixing it with a small amount of water. This is considered to be one of the healthiest of all teas as a whole leaf is ingested and this has a grassy flavor. Tea is rich in antioxidants and it is beneficial for the prevention of a number of diseases including cardiovascular diseases and even cancer. Studies have proven that tea is also good for losing unwanted weight. With an increase in knowledge and understanding of tea and its benefits, the number of people who consume tea all over the world has increased tremendously. Drink tea regularly to stay healthy.